Rathira Ayurveda Private Limited, a company that is renowned for its ingenuity in making 10 Days Hair Oil (ayurvedic hair oil) available for all those who suffer hair loss and for those who desire shining and beautiful hair is at it again! This time around, the company records a landmark in sales of 10 Days Hair Oil products in just a day. This phenomenal sale happened on the Indian Republic Day, 26th of January 2019. The sales was unprecedented and never has this happened in the history of 10 Days Hair Oil or any other hair oil in India. Due to 10 Days Hair Oil effectiveness and its friendly scent, many people chose to buy the products on the Republic Day when the company decided to lower the price, in fact, 70 percent of the buyers bought more than one. To encourage more buyers and give back to the society, the company slashed the price of 10 Days Hair Oil from Rs. 1999 to Rs. 499. 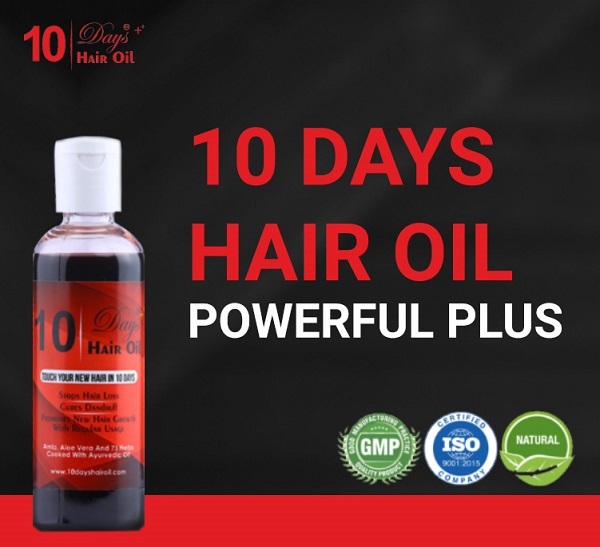 This further makes the company to record an unprecedented surge in the sales of 10 Days Hair Oil – close to 10,000 orders were received in less than 24 hours. Furthermore, this is at the backdrop of the fact that 90% of buyers were returning buyers who had awesome experience from their previous use of the same product. Also as many people tried to have their share of the largesse on the Republic Day, the company website, www.10dayshairoil.com, experienced large visit which eventually led to the website being down for an hour.